Some White Helmet personnel and their family members have failed to leave Syria “due to the adverse situation on the ground” and currently remain in the country, Agence France Presse reported, citing sources. According to the agency’s sources on the ground, chances for a new evacuation remain slim because of the “unstable” situation in Syria. Jordan's foreign ministry has announced in a statement that the kingdom received 422 Syrian citizens, after earlier saying it had given permission for 800 to arrive. On Sunday, an Israeli Foreign Ministry spokesman said that, in keeping with pertinent requests from the US, Canada and a number of European countries, Israel had evacuated 800 White Helmet activists and their families to Jordan from southern Syria where government forces are now wrapping up an operation to flush out Daesh terrorists still active in the area. Also on Sunday, Israeli Prime Minister Benjamin Netanyahu said that he had helped the evacuation at the request of US President Donald Trump and Canadian Prime Minster Justin Trudeau. "These are people who save lives and now find themselves in deadly danger, therefore I approved bringing them through Israel to another country as an important humanitarian step," Netanyahu said. Germany earlier agreed to accommodate eight members of the White Helmets Syrian Civil Defense evacuated from Syria. 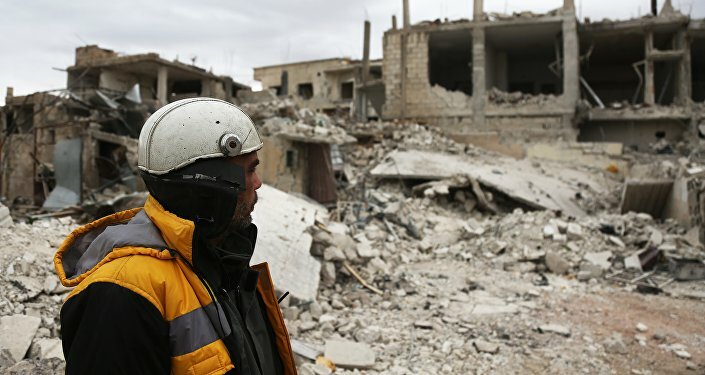 Founded in 2013, the Syria Civil Defense, or White Helmets, is a network of first responders who purportedly rescue the wounded in the aftermath of air strikes, shelling or explosions in rebel-held territories. Syrian President Bashar Assad and his allies, including Russia, have dismissed the White Helmets as Western-sponsored propaganda tools and proxies of Islamist-led insurgents.